I saw a bluebird yesterday. That does not seem like a big deal but it was the first time in my life I actually saw a real one. Of course I did not have a camera with me-I never seem to be ready to catch those important moments. But trust me, there he was perched on a weed, the brightest blue I had ever seen. Mind you, I tried to see them. When the boys were little we made several bluebird houses in Cub Scouts and hopefully placed them around the farm. No joy-there were freeloaders who moved in instead. Yesterday was a day like that. As we have completed this major move, now I am into the real work of cleaning and making this house a home. All my helpers left and after several days of head down effort and smelling like Murphy’s Oil Soap I was tired and lonely. The freeloaders of fatigue and discouragement were moving in. On top of that there are just times when you miss your kids. There was so much new to share with them. I want to gather them up and get them all back home. Excuse me Uncle Sam, I need my kids back. That is not going to happen in the near future. Duty calls and they continue to do their work for the good of the country and all of us. Most days I keep moving forward, one step at a time. But there are those moments when I just want to curl up and go back 20 years when my nest was intact. In the midst of my pity party yesterday I decided to take my own advice for holding myself together. I turned my back on my buckets and boxes and went for a walk. 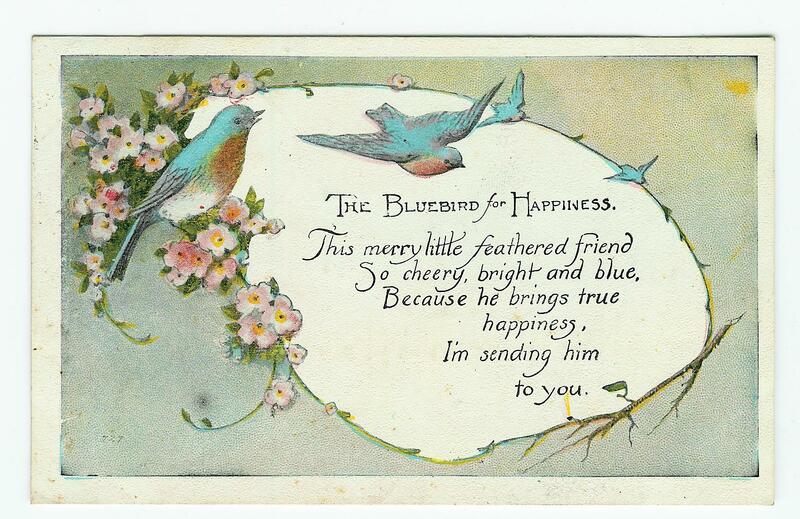 And then I saw him-my bluebird of happiness. It was a reminder that in the midst of the down times there is comfort and that life is good. 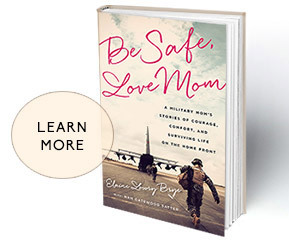 It’s not easy being a military mom. And on those days when it rubs raw it helps to look for joy in the small things. It can get you through another day. One step at a time Sisters…one step at a time. Love it ! Always one day, one step,one hour and remember to breath ! Thank you for being real! Being rubbed raw stated it perfectly! I think it’s hard to imagine your children growing up and leaving one day and then the inevitable sinks in, no what? What do you do with yourself? What really matters? How do you deal with the emptiness of a place that was once filled with chatter and pattering of little feet? It has to be a place of new discovery for yourself. Life moves on constantly without a moment to fully embrace what just happened…you became a wife, then a mother, and then an empty nester? No! I say celebrate your life and embrace the path set ever before you. Go discover yourself again, challenge yourself again and never forget all of those beautiful memories that has made you the women you are today! Rejoice in the gift God has bestowed upon you throughout your life and never forget! Celebrate! I love that you found that blue bird of happiness, because you took the time to stop and look at all of the beauty that awaits us to find it! Thank you for sharing such a precious gift that most of us might overlook. Thank you for sharing this! There are those days for sure. Sometimes a breather will help us find our center again. God knew you needed that. And a FYI, back in the 80s-90s a glass artist created these little bluebird glass figurines called “Bluebirds of Happiness” You may be able to find one in an antique store. I love this book. Thank you so much for validating all of my feelings.